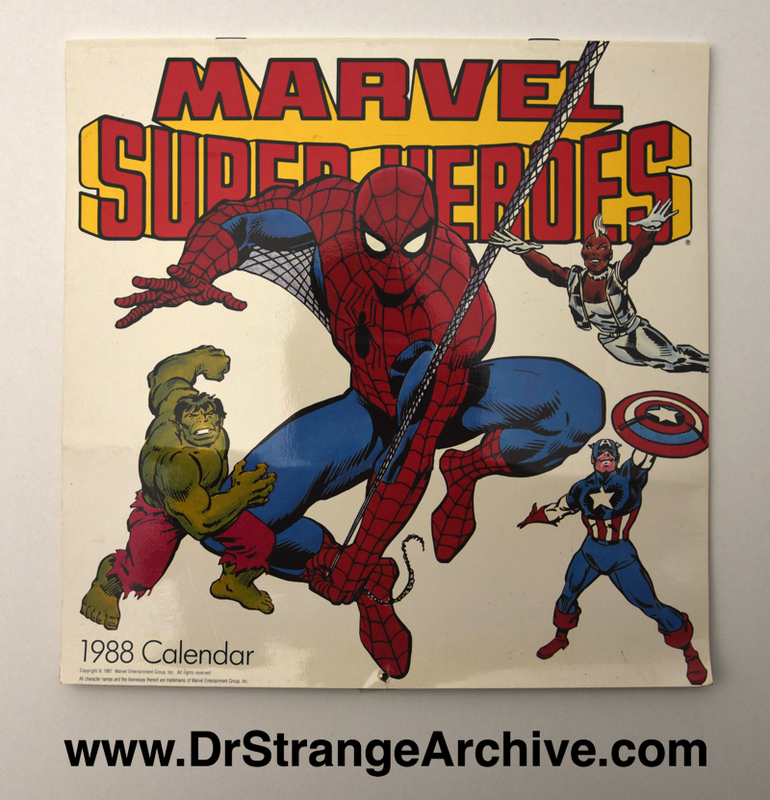 Description: This is the 1988 Marvel calendar. 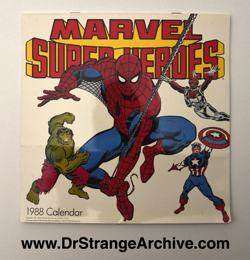 It features different Marvel art for each month. The art from one of my favorite Dr. Strange posters is featured for May. The artist is Kevin Nolan. It was printed in Korea. Suggested retail price was $8.95. ISBN # 0-933205-64-3.